Any order placed via the website www.patrimoineculturel.com implies unreserved acceptance of the present GTS by the purchaser. Ateliers d’Art de France draws the online purchaser’s attention to the importance of reading these general terms of sale in full. The prices indicated on the website www.patrimoineculturel.com are in euros and include all taxes. All purchases are payable in euros. All online orders must be paid for by credit/debit card. Accepted cards are listed on the website. All card payments are taken once the order is confirmed. The information and data required for the ticket order are retained for security purposes. The information collected is processed for the communication purposes of Ateliers d’Art de France. In accordance with the Act of 6 January 1978 concerning information technology, data files and freedom, amended in 2004, you have the right to access, correct and remove information concerning you, which can be exercised by writing to Ateliers d’Art de France, 8 rue Chaptal, 75009 Paris, indicating your surname, first name and contact details. In accordance with current regulations, your letter must be signed and accompanied by a photocopy of an identity document containing the purchaser’s signature and indicating the address to which the reply should be sent. The customer’s “double click” on the order page constitutes an electronic signature which has the same value, between the parties, as a handwritten signature; the customer confirms the order with the first click and, having verified it, accepts it with the second. The order will not be registered until the second click. Any order signed by the purchaser constitutes a firm and definitive commitment. The online ticket order is not definitively guaranteed until the confirmation e-mail is received, containing the e-ticket to be printed. Any reservation confirmed by the customer by clicking on the “validate” button constitutes a definitive, irrevocable commitment by the customer. No withdrawal right: “In accordance with Article L 121-20-4 of the Consumer Code, the right of withdrawal does not apply to tickets for trade fairs and exhibitions (which are classified as recreational events)”. No ticket will be refunded unless the event is cancelled by the organiser. Only the purchaser may be refunded with the ticket price credited to their bank account, and only on request. Once the order has been paid for in full, an order confirmation is sent to the e-mail address previously provided by the customer. The e-ticket is attached to the e-mail in PDF form. It contains the purchaser’s name. In order to be valid, the e-ticket must be printed on a colour printer, in portrait mode, on a white A4 sheet, without changing the print size. A separate ticket is issued for each place purchased. No other medium (electronic, PC or mobile screen, etc.) is accepted. Any e-ticket that is only partially printed, dirty, damaged or illegible will not be accepted and will be treated as invalid. – Each e-ticket has a unique bar code. 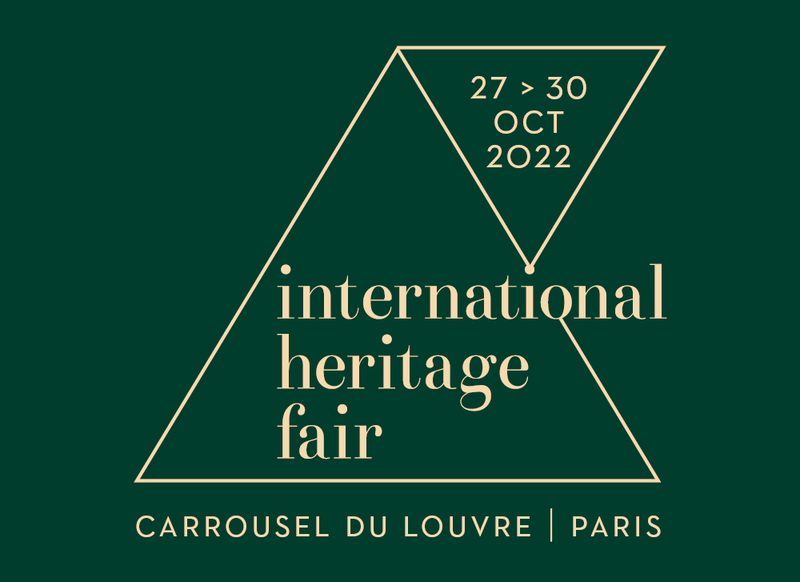 Valid for one or four days, it gives access for one person to the International Heritage Show from 6 to 9 November 2014. It will be scanned at the event entrance and only the first person to present it will be admitted. Any other copies of the same e-ticket will be refused. Keep your e-ticket safe, since no disputes can be brought if an illegal copy is made, even without your knowledge. – E-tickets should not be purchased from a stranger, since their validity cannot be guaranteed. – The holder of a 1-day ticket may not re-enter after leaving the event. The organiser is not obliged to check the identity of the person who presents the ticket at the entrance, nor the authenticity of the ticket. For this reason, ticket-holders who are refused access to the event cannot claim any entitlement to a refund of the price paid. Any purchaser who wishes to make a complaint about a problem with the purchasing process (from ordering to printing) must provide proof of their purchase. Ateliers d’Art de France reserves the right to decide whether to meet the request or not. Ateliers d’Art de France also refuses any liability for the negligence of the purchaser if the ticket is lost, stolen or used fraudulently. Ticket sales covered by these general terms of sale are subject to French law. In case of dispute, the Paris Commercial Court has sole jurisdiction.